What, where, when? The first step to buying a new home is deciding what you’re after. Is it about time you upgraded from a crumbling shell to a blemish-free new build home? Are you looking to downsize from your large family home to a smaller, easy to maintain property? Would you like to be in a quiet rural location in the south of the island or move closer to your Douglas office? Are you ready to move tomorrow or do you need time to get your house in order? The decision is yours! Buying a new home is a serious commitment. You want to choose something that will be right for you for years to come- so don’t just think of what you need now, plan for the future. Are you hoping to expand your family in the coming years and need a few more bedrooms? Are you planning to remain if your job for a long time or wishing to retire to the countryside? Consider price, location, size, design and prioritise your wants and needs. Is a bigger garden and patio area important to your family or are you the indoor type? Do you prefer entertaining in a large, open-plan living area or relaxing in a cosy lounge? How about trading longer commute for a larger home at a lower cost? One of the keys to a smooth home-buying process is planning. Once you have an idea of what you are looking for, it’s time to work out what you can realistically afford. How much do you have available for a deposit? What is your monthly budget? Do you have a property to sell first? If you’re a cash buyer, you’re one step ahead of the game! If you need a mortgage, you should start the process before making an offer or reserving a home. By meeting with lenders and looking at mortgage options, you can find which will work best for you. If you’re struggling to sell your existing property or raise funds for a deposit, we have a number of unique ‘Help to Buy’ schemes which could help you get moving. Read through the guides at the bottom our homepage or contact our sales team to discuss your specific circumstances. A home is more than bricks and mortar- it needs to be right for you. More than one property may have the same number of bedrooms, bathrooms and be on the market at the same price but represent completely different dimensions, interior design, location and plot size. It’s back to step 1- are you looking for a cosy 2-bed bungalow in a rural development for all generations or a 2-bed contemporary apartment close to the business district in Douglas? Now you have an idea of what you’re after, it’s time to start shopping around! Arrange viewings of various properties. Have a browse around a show home for inspiration. Meet to discuss features of off-plan homes and possible customisation and upgrades. Then make your choice! Once you’ve decided on your dream home, it’s time to start the ball rolling. 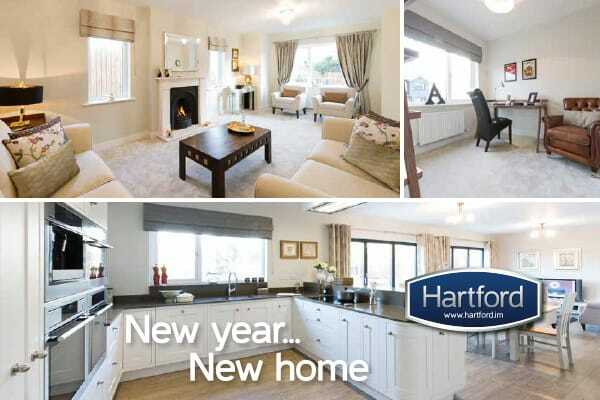 At Hartford, we will ask for a non-refundable reservation fee of £1,000 and take the property off the market. We will want to make sure that you have a good chance of being able to complete the purchase so if your acquisition is subject to mortgage or the sale of your own home, we will want to chat that through. On certain properties which have been complete for some time, rented previously or that we are running special offers on we may be able to offer help to buy incentives such as Rent to Buy, Smooth Move or Part Exchange (ask sales advisor for further details). Once we have reserved the property, the price is fixed for 4-6 weeks, it is withdrawn from the market and held for you pending exchange of contracts when normally 10% is paid and we are legally committed to each other as buyer and seller. Depending on the stage of construction, certain choices may be available to help you customise your home and you will be invited to make them once you have exchanged contracts. Then it's time to look forward to completion when the balance is payable and you can arrange moving in. 5. Get a move on! Start planning your move! Whether you’re moving to a bigger or smaller property, it’s likely you’ll want to have a clear-out before the big day. If you’re downsizing, this may be a particularly daunting task, so take it a step at a time. We have some handy tips for moving to a smaller property here. If you’re looking to move to a bigger property or are moving from furnished rental accommodation, will you need more furniture straight away? Many of the local furniture stores will deliver for free so you can arrange delivery to your new door in time. When shopping for new furniture, ask if the store offers a measuring service to help plan out your rooms. Along with sourcing furniture from local stores, we also work with a number of other local partners including interior designers, landscape gardeners and curtain/blind fitters to furnish our show homes- ask us for recommendations. So, if you think 2016 is your time to move, what are you waiting for? Get looking, get planning, get buying... and get moving! But don’t forget, we can help! Whether it’s working out what is right for you or helping sell your old home, contact us to find out how we can lend a hand. Email sales@hartford.im or call 631000.